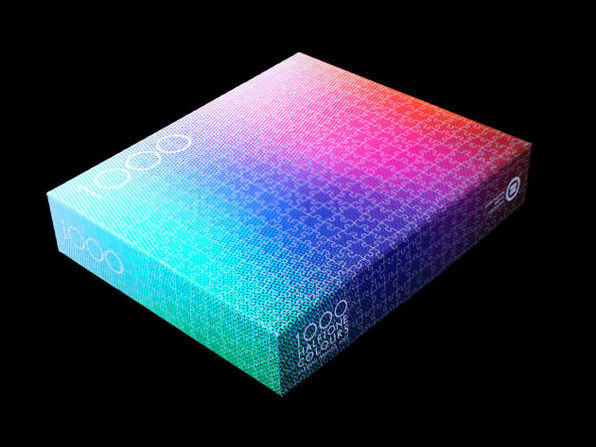 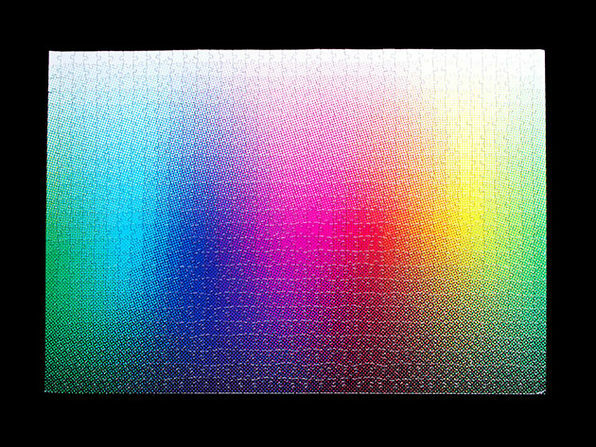 Clemens Habicht's 1000 Halftone Colors is an exact reproduction of the original 1000 Colours Puzzle in which the halftone screen of commercial four color printing is greatly enlarged to become visible. 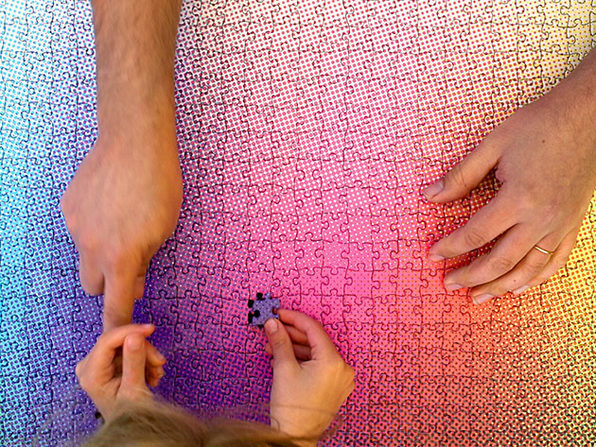 Each tile becomes an abstraction of dots of various sizes in cyan, magenta, yellow, and black to create composite colors. 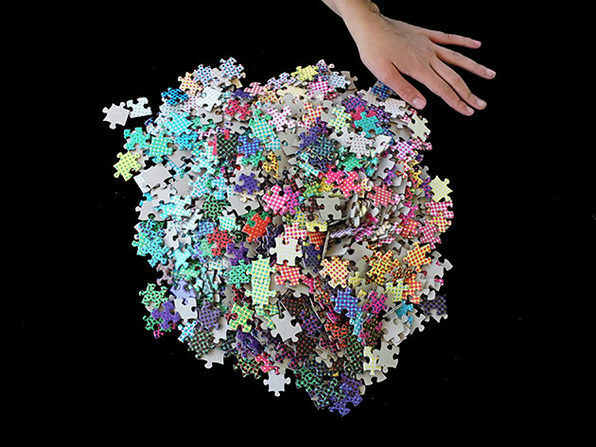 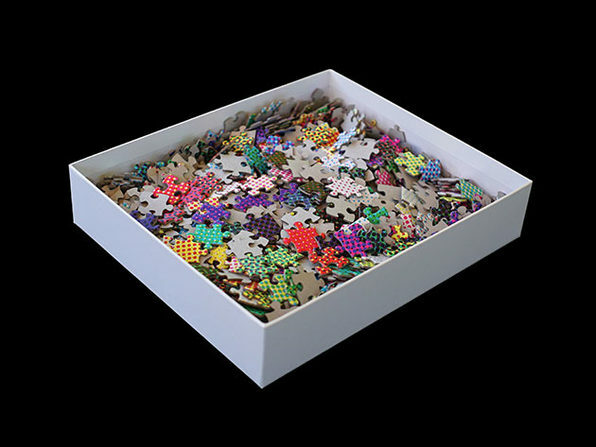 The dot pattern frequencies and rosettes themselves become a part of the toolkit of clues used to spatially solve the puzzle.